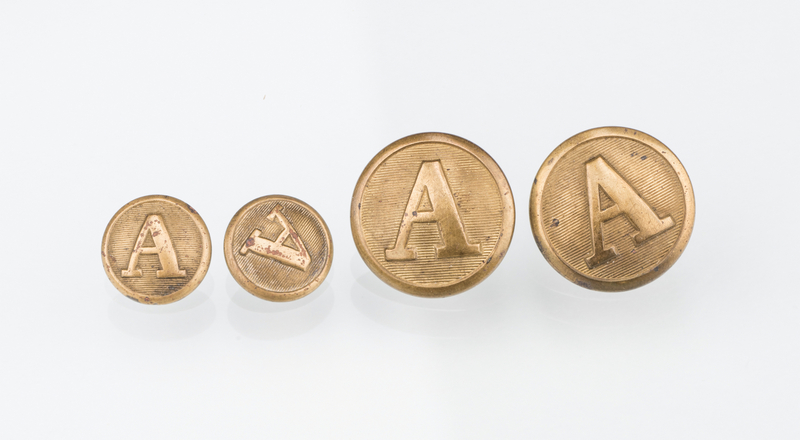 Group of four (4) rare Civil War Confederate Artillery brass coat buttons, 2-piece construction with block letter "A" on lined background and raised border design. 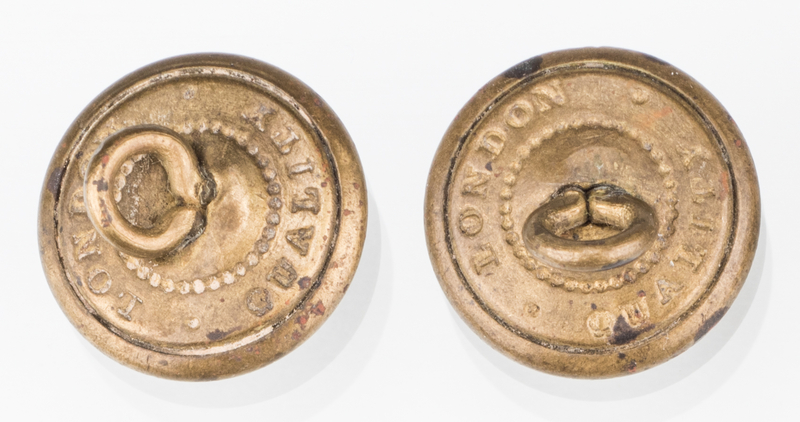 Includes two (2) coat buttons stamped en verso CHATWIN & SONS, BIRMINGHAM and two (2) cuff/sleeve buttons stamped en verso "London, Quality". 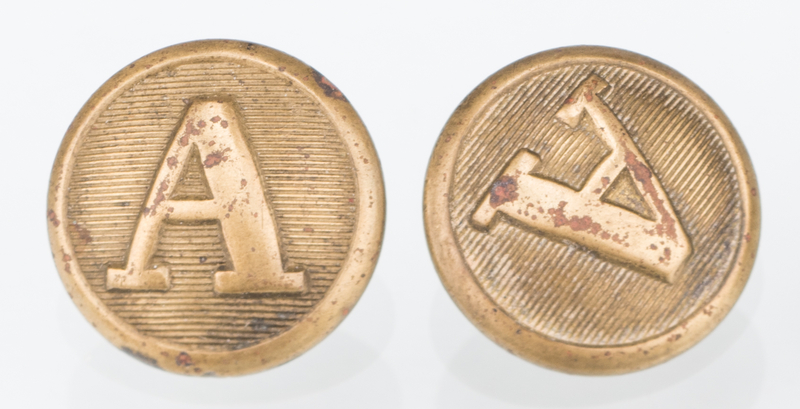 Two (2) coat buttons – 22 mm. 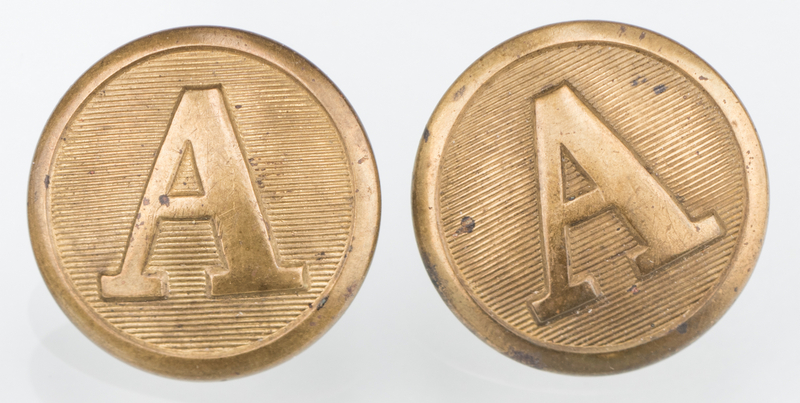 Two (2) cuff/sleeve buttons – 15 mm. Note: John Chatwin & Sons was a small English manufacturer that produced a limited offering of Confederate buttons. Provenance: Private Middle Tennessee Collection. CONDITION: Fronts and backs to all buttons overall good condition with natural age patina, untouched finish. Coat buttons with bright fronts and general service wear and slight dent to back of one coat button. 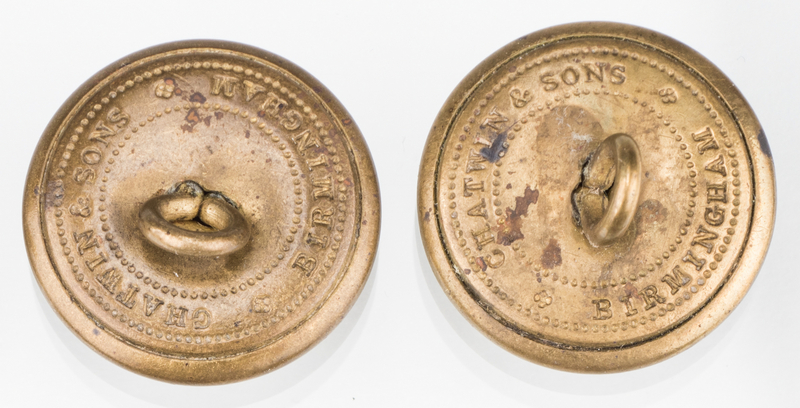 Both cuff buttons with general service wear.